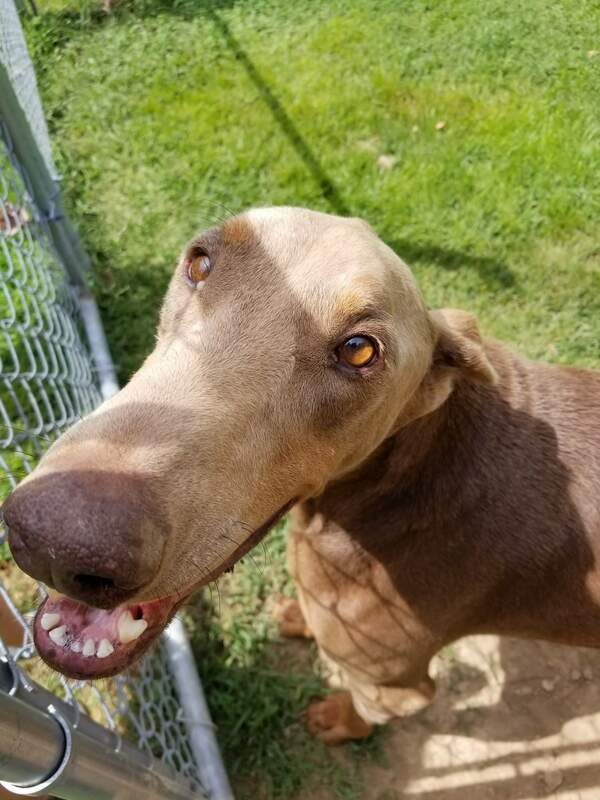 UPDATE 10/17: A little background on Chief...He is still working on building his confidence and he will need an adopter who has the patience to ride it out with him. The reward will be great but right now he’s pretty scared of a lot of things. Chief lived outside until his family decided they were going to take him to the shelter. 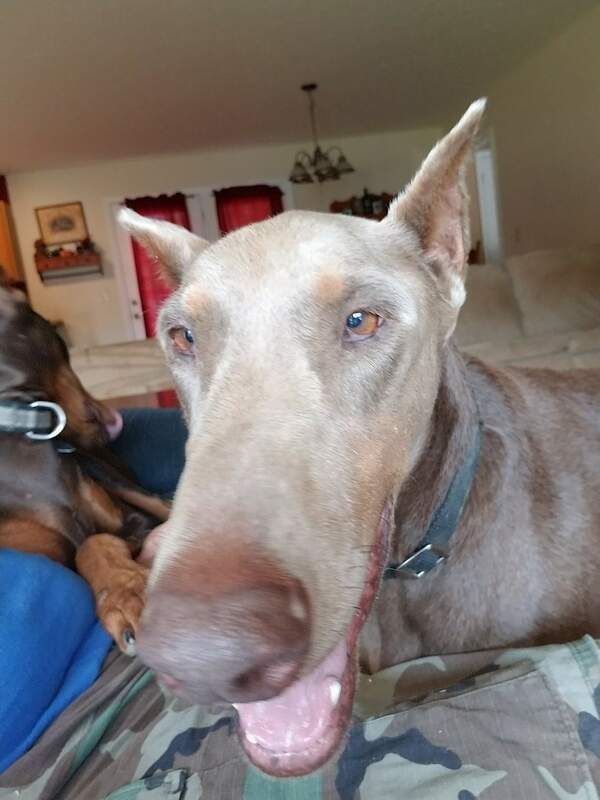 So his foster savior stepped in and brought him into his house where he has been living with 3 other Dobes and a small dog just fine. 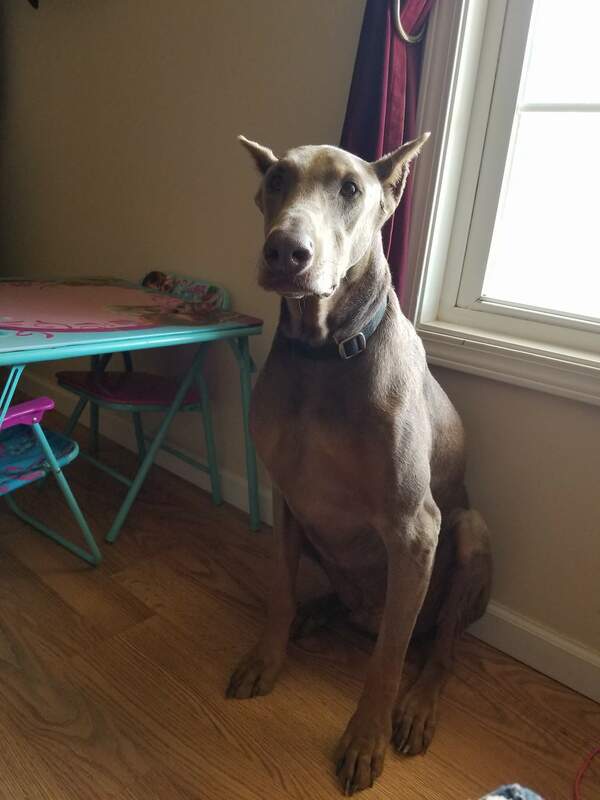 He adores the 4 year old granddaughter in the home but please note that she is dog/dobe savvy. He would likely not do well with boisterous, energetic children as loud noises can often startle him. 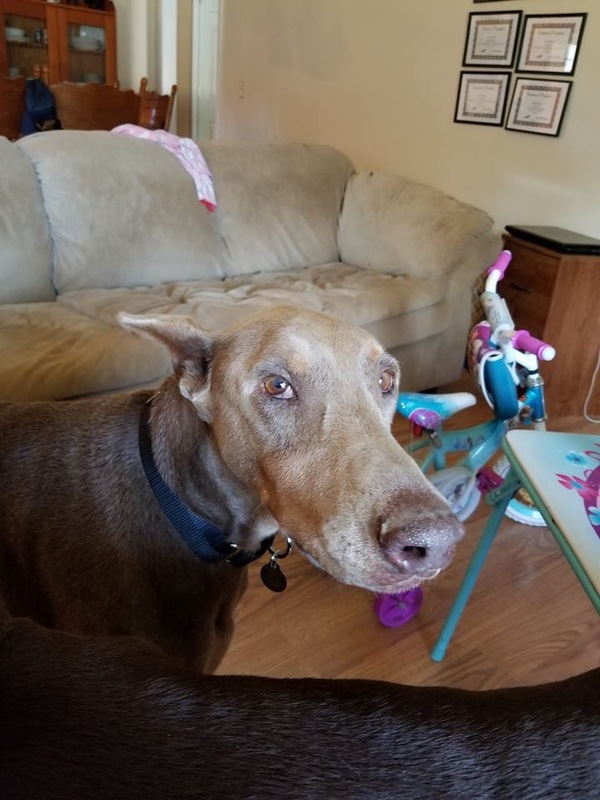 He is also afraid of many everyday household things (vacuum, brooms, mops, leashes) and will need the patience to get used to these, though he is making progress in his foster home. He is currently afraid of the cat he used to live with so may be fine with them, though we don’t know how he’ll react once he builds his confidence. Can you be Chief’s “person” and show him the love and patience he needs to learn how to live life to the fullest and build some confidence? We know it will be totally worth it for this handsome boy!! Hi everyone! I'm Chief! I am one handsome fawn Doberboy who hasn't been shown the love that I so deserve! See, I am 4 years old, and I have lived the majority of my short life outside. Before that, I lived in the garage in a crate. When I would bark to get my human's attention (I just wanted to come inside and be with them! ), they would bang on my crate and yell at me. So I found myself outside. I started to dig holes in the yard (because duh, I was bored out there all by myself 24/7!) and my humans were going to dump me at a shelter. A nice man took me in because he knows I deserve better! 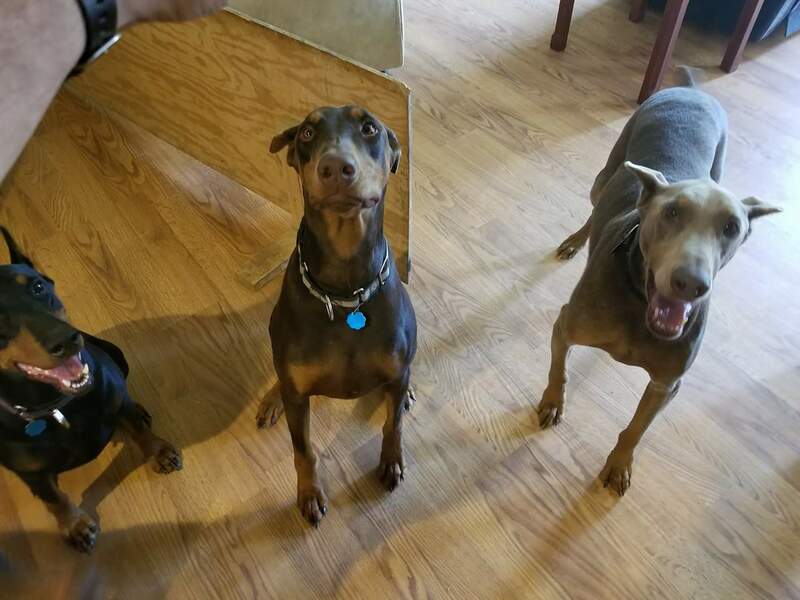 I now live inside with 3 Dobermans, male and female. I love them all! I especially love foster dad's human granddaughter. I give her tons of kisses and love getting petted by her. I'm very nervous of new things, but I'm learning. In fact, I just learned how to play with other dogs (I really like it!) and walk on a leash!! We are working on sit, and I take treats so gently! If you are patient with me and teach me things (like how to be a dog), I will be your best friend forever. Oh, and despite living outside all of this time, foster dad says I haven't had one accident in the house! I don't even need to be crated. Do you have room in your warm house for me? They tell me I'm super sweet and smart and will make a great addition to any family.